Thursday, October 25, U.S. 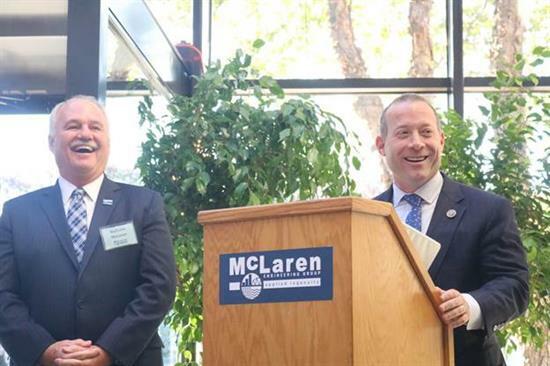 Congressman Josh Gottheimer (NJ-5) helped welcome McLaren Engineering to their new headquarters in Woodcliff Lake at their ribbon cutting ceremony. For more than 40 years, McLaren Engineering Group has provided innovative, customized engineering solutions for more than 15,000 projects. With over 200 employees in 10 offices, McLaren is licensed in 49 states and serves 10 key markets. Their new 57,000 square foot headquarters in Woodcliff Lake will house 130 employees with the possibility of expanding to 250 employees over the coming years. 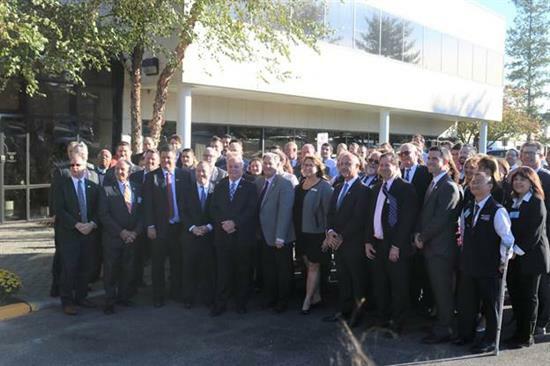 Below: Gottheimer helps open up the new McLaren Engineering headquarters in Woodcliff Lake.